The Adani Group, biggest private port operator in India, has placed an order on VAHLE for the retrofit of 18 aisles and 15 RTGs for the port of Kattupalli India. The project includes 3 kms of the 4-pole vCONDUCTOR U35 conductor system as well as 3 km of positioning system vPOS. The modification including commissioning is planned for late summer 2019. In the meantime, the Adani Group has commissioned the retrofit of 14 further aisles. The Trimotion system is remote control ready and only the vCOM data rail SMGX needs to be added. 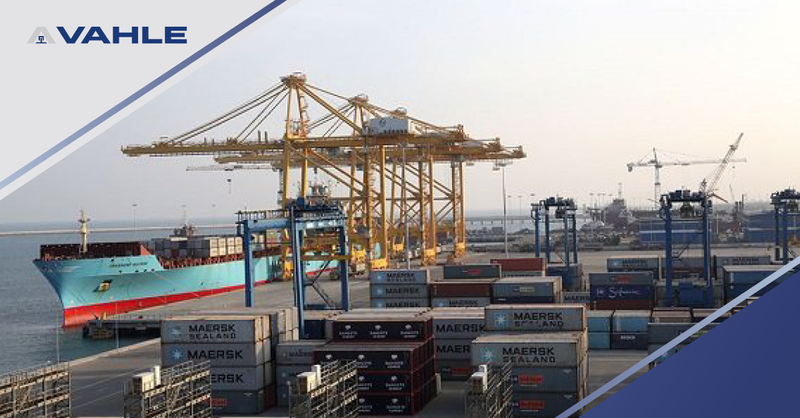 After retrofitting of 15 RTG cranes, the Port of Kattupalli, Member of Adani Group, is the first container terminal of its kind in India. From now on it is possible to handle fully automated and remote controlled the containers inside the alleys.